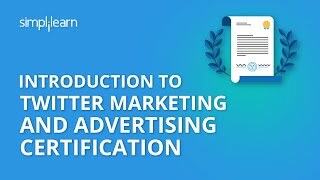 The Twitter advertising course is created by Twitter and Simplilearn to help businesses grow their customer base and effectively engage with their online community using Twitter Ads. Using Twitter Ads strategically can have significant benefits for businesses—growing their customer base, amplifying their marketing reach, and building their brand in a way that truly impacts the bottom line. 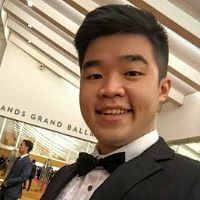 From content strategy to best practices and analytics, Edric Subur from Twitter’s Small to Medium Businesses Marketing team will demonstrate the power of Twitter Ads. Edric works in the SMB agency team to support and enable agencies globally to make the best of Twitter marketing. Previously, Edric led the SMB marketing in APAC. Having been an entrepreneur himself, he is passionate about helping businesses grow on Twitter. How do I enroll in the online training? You can enroll for this course on the Simplilearn website. Payments can be made using any of the following options. You will be emailed a receipt after the payment is made. What format is this training course? This training course is presented as online eLearning. You’ll have access to the lecture videos and can complete the course at your own pace. Yes. You can extend the access period by paying an additional fee. Contact Support through our Help & Support. Where and how can I access the elearning content? Are there any limitations? Once you’ve enrolled in the course and completed payment, you’ll have 24/7 access to the eLearning content on the Simplilearn website. We will also send a purchase confirmation email which will help guide you through the process. I’d like to know more about this training program. Who should I contact?